This is a favourite grain of mine in the winter. It is very warming, highly nourishing, energizing and tasty food that can be eaten instead of rice or the usual porridge. Buckwheat is a gluten free Powerfood! With a glycemic index of 54, it lowers blood sugars more slowly than rice or wheat products. 6. Great for the digestion. 7. High protein buckwheat flour is being studied for possible use in foods to reduce plasma cholesterol, body fat, and cholesterol gallstones. 8. Buckwheat is good at drawing out retained water and excess fluid from swollen areas of the body. Read how to make a Buckwheat Plaster. 9. Buckwheat is a warming food. 10. Buckwheat contains no gluten and is not a grain. It is therefor great for celiacs and those on grain free and gluten sensitive diets. I use it often in my Online Courses. If you need to be gluten free; when buying buckwheat products like soba noodles do check the label as wheat flour is often added. 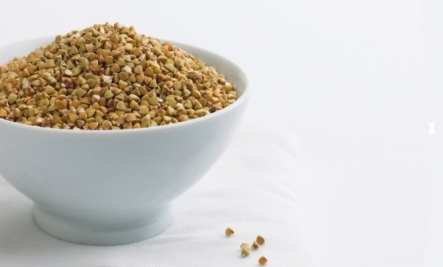 Chinese medicine cautions against buckwheat for individuals with weak spleen qi. Macrobiotics says buckwheat will only do well in the intestines when candidia has been dealt with. There is a King Buckwheat and a Lady Agriculture, the queen is Queen Ceres, named after the mythological goddess of agriculture at the Preston County Buckwheat Festival every year. Buckwheat seedlings emerge and grow quickly so it is an unusually fast-growing crop. 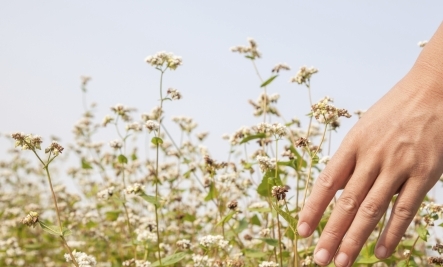 In the growing of buckwheat disease has not been a problem so you will not find a lot of pesticides used in growing it. It will die when grown with most chemicals. It has been used as a substitute for other grains in gluten-free beer. Has high quality protein, containing all eight essential amino acids, including lysine. Filled with many minerals and vitamins such as zinc, copper, and niacin. Contains a high level of rutin. 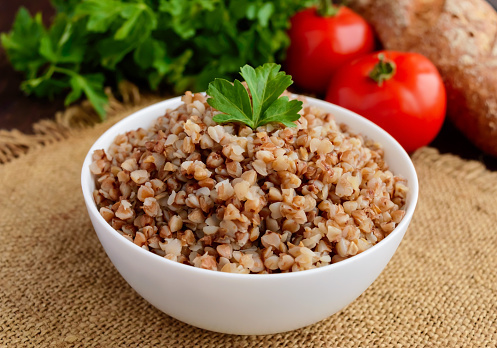 Buckwheat has been eaten since the eighth millennium BC. It was gathered from the wild in where it grew naturally. When cultivation began is not known. Buckwheat is native to Northern Europe and Asia. It was cultivated in China from the 10th through the 13th century. Then in the 14th and 15th centuries it spread to Europe and Russia. Later it came to the United States by the Dutch during the 17th century. Store in a airtight container in a cool dry place. Buckwheat flour is best stored in the refrigerator. Rinse buckwheat under running water before cooking to remove dirt or debris. Buckwheat can either be milled into flour to make things like pancakes and pasta. The groats and grits make a tasty cereal. 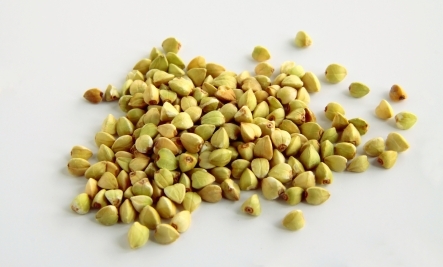 Buckwheat groats roasted are a very tasty addition to soups and other grain dishes. 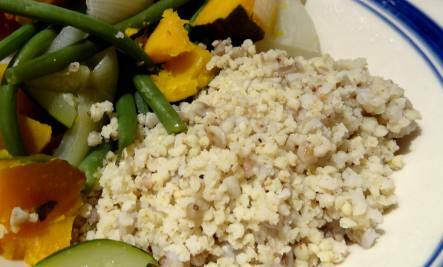 Buckwheat is gluten-free; this makes it a great substitute for grains. In Japan they use buckwheat flour to make one of my favourites are soba noodles which is a traditional dish. Buckwheat is also used in the chocolate bar and snack food industry. Millet & Buckwheat with Sunflower Seeds This highly dish is yummy! Buckwheat Plaster This draws out retained water and excess fluid from swollen areas. Buckwheat and Sunflower Seeds Simple and nutritious! Soba Soup A Japanese favorite made with buckwheat noodles. To learn more about gluten free flours check our my Healthy Baking BootCamp.